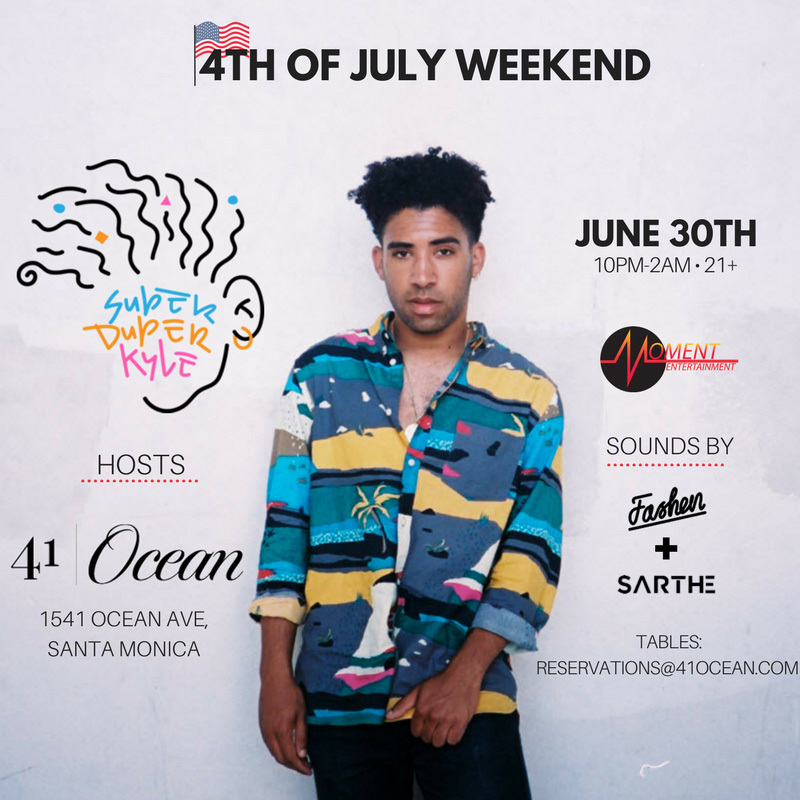 Also known as SuperDuperKyle or K.i.D., Ventura-based MC Kyle is heavily influenced by the '80s, and not just the decade's brand of hip-hop, but that era's video game music as well. He debuted in 2013 with Beautiful Loser, a record that featured guest spots from G-Eazy and was released by the vanity label Hey Kyle. A year later, the album was picked up by Indie Pop, the same label that released his 2015 effort, Smyle. Filled with positive songs, a spot by Chance the Rapper, and video game samples, the album cracked the Billboard 200 albums chart. His "iSpy" single arrived at the end of 2016. It featured vocals by Lil Yachty and peaked in the Top 30 of the Billboard Hot 100.